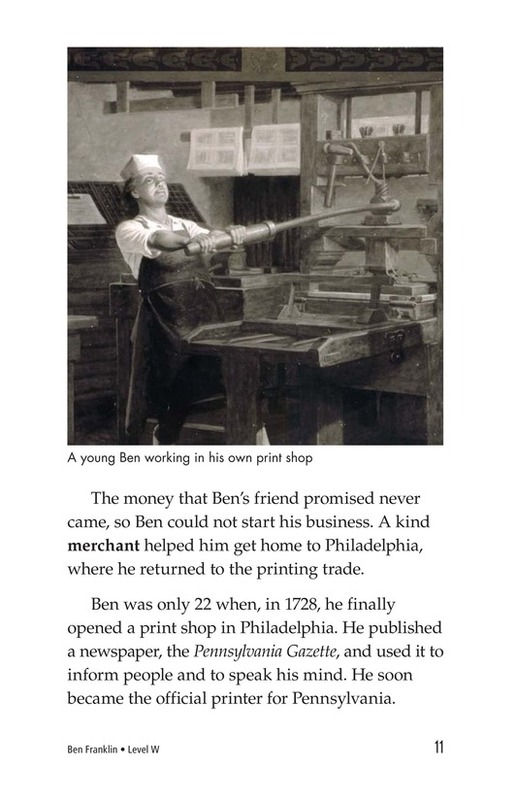 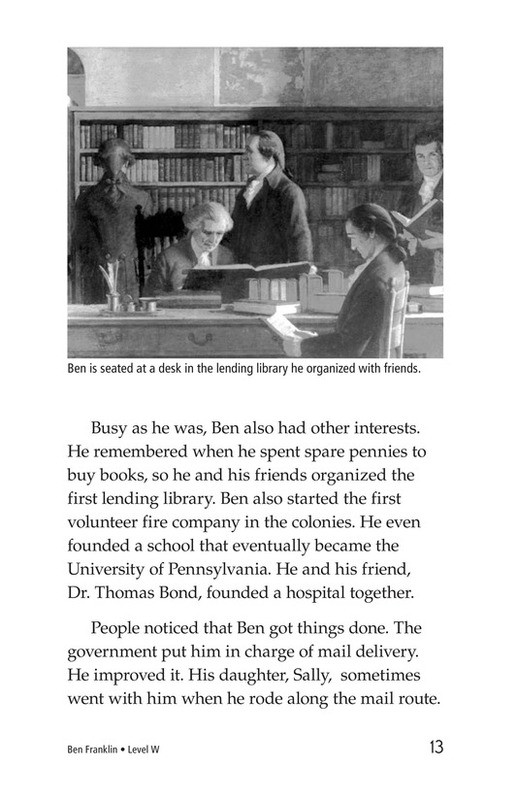 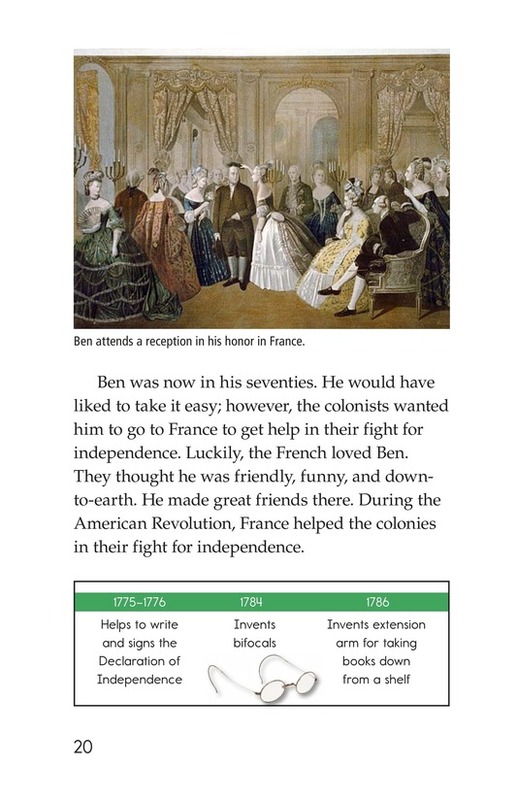 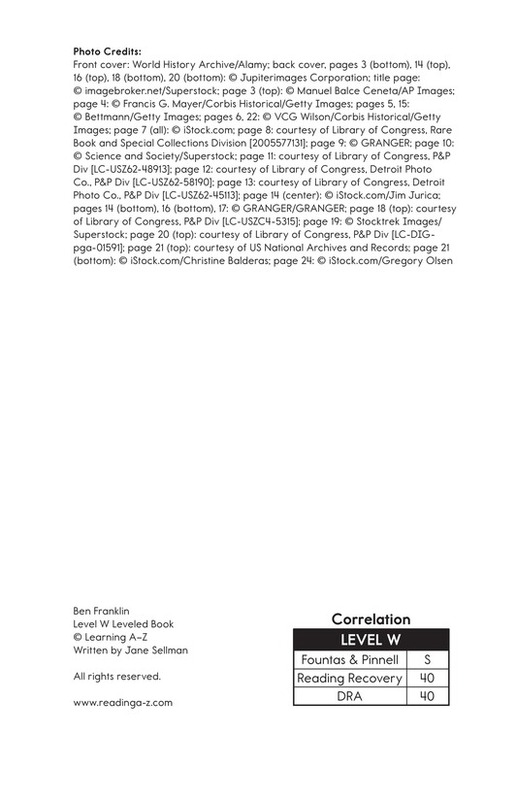 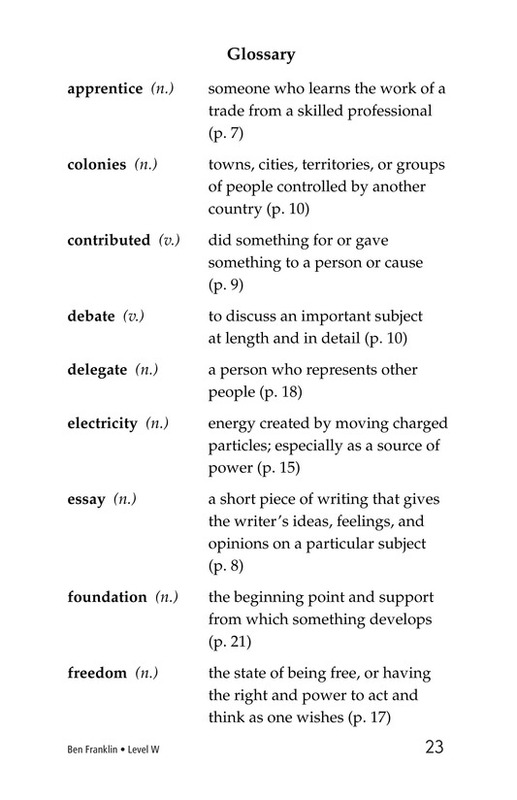 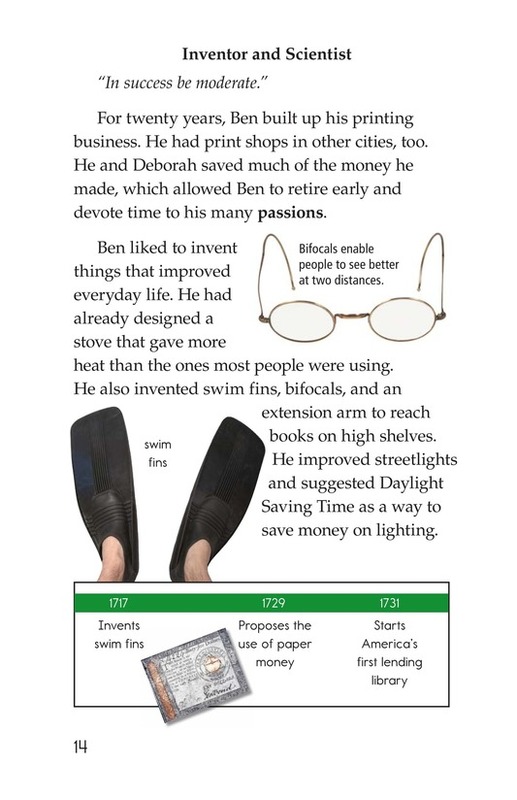 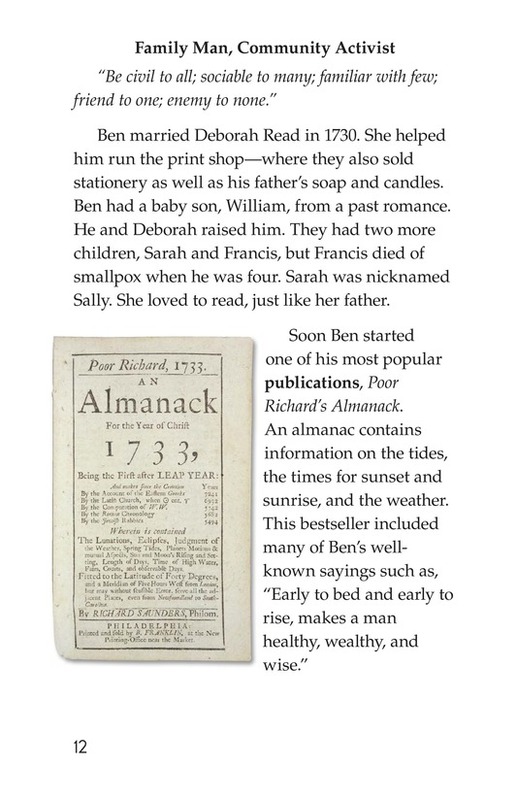 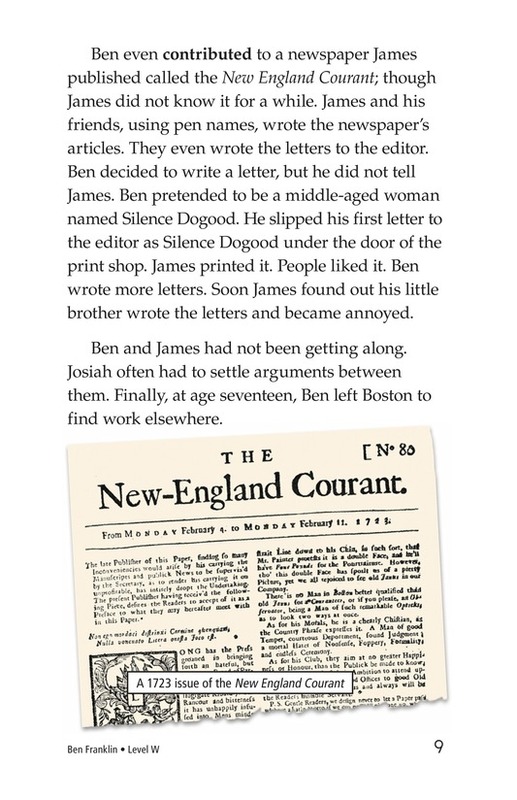 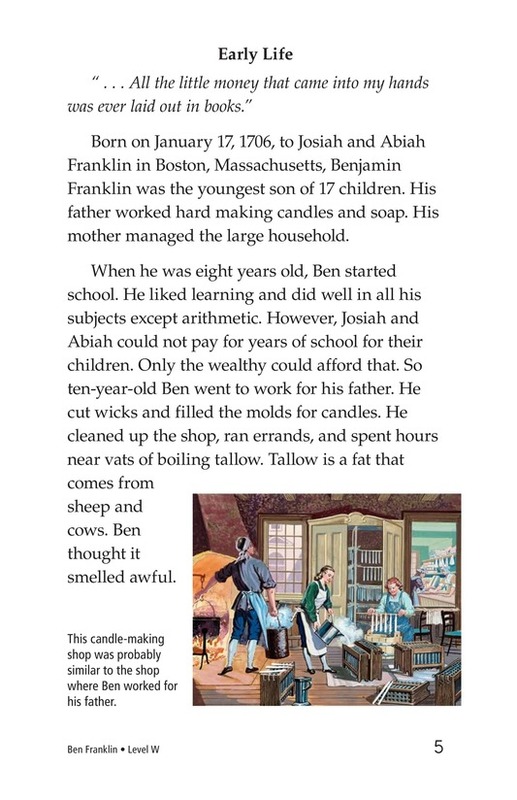 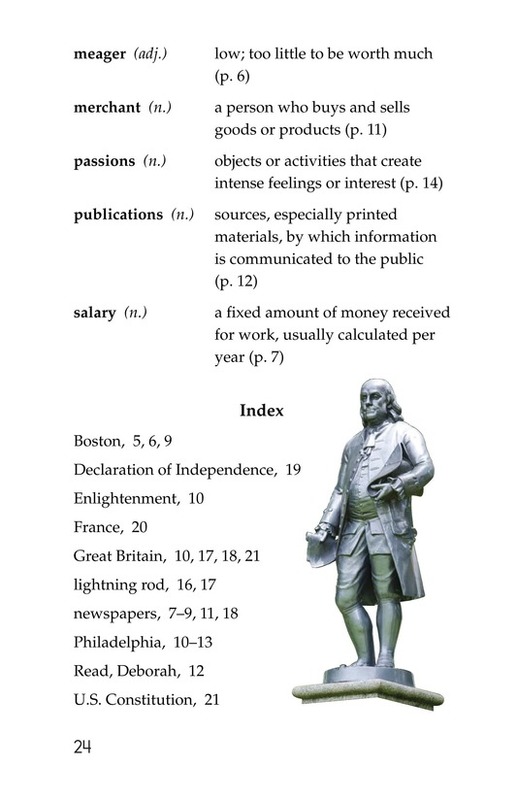 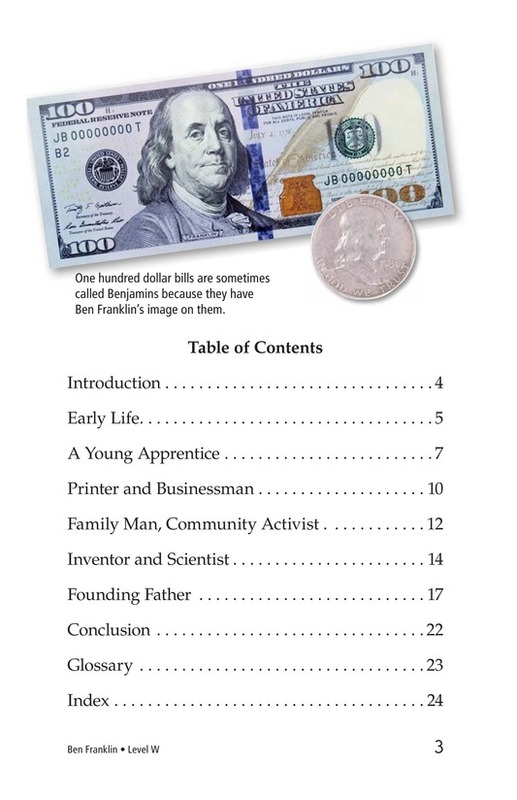 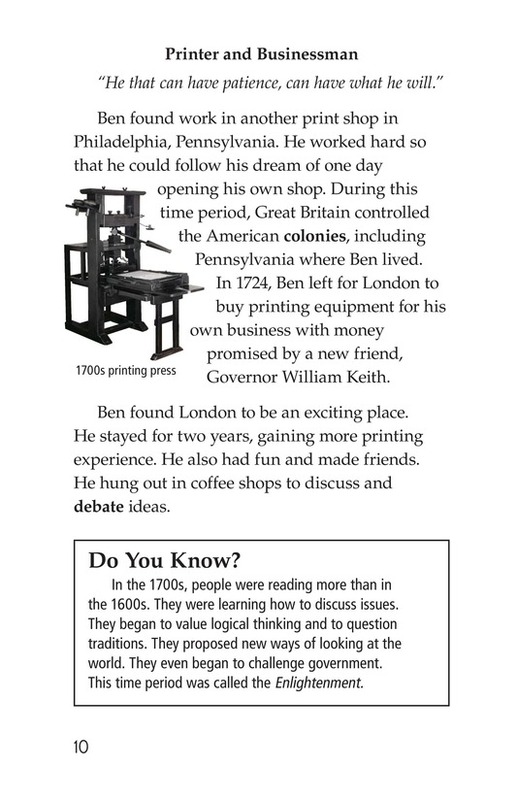 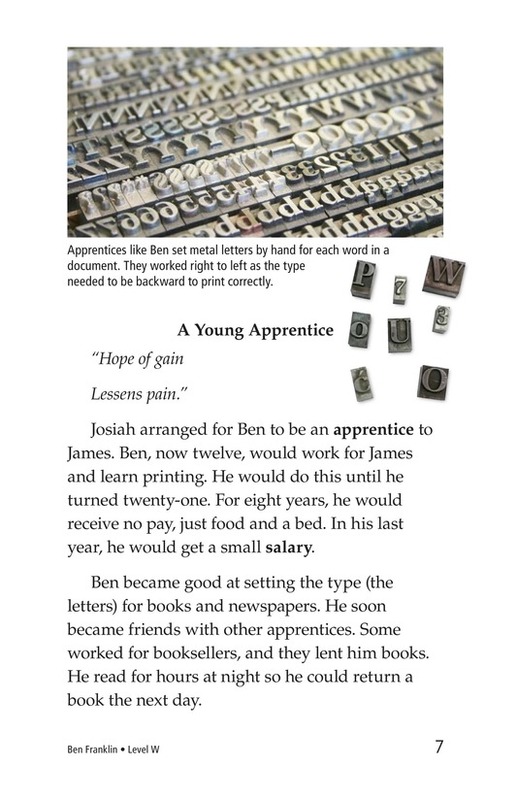 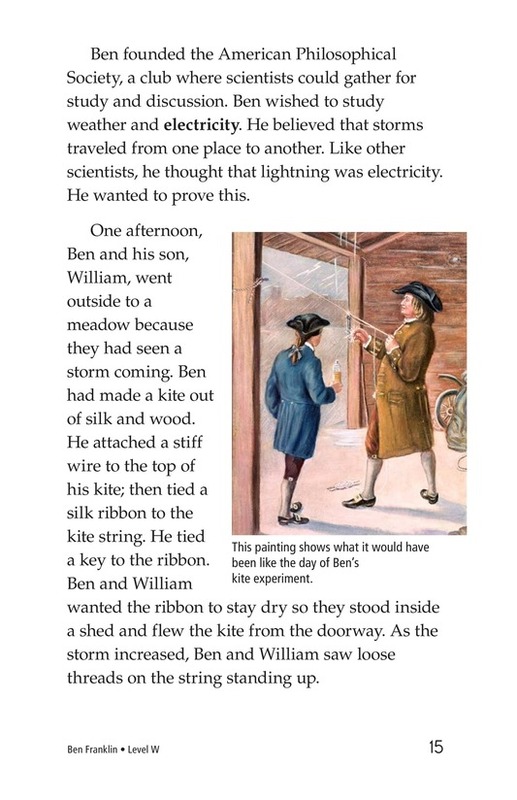 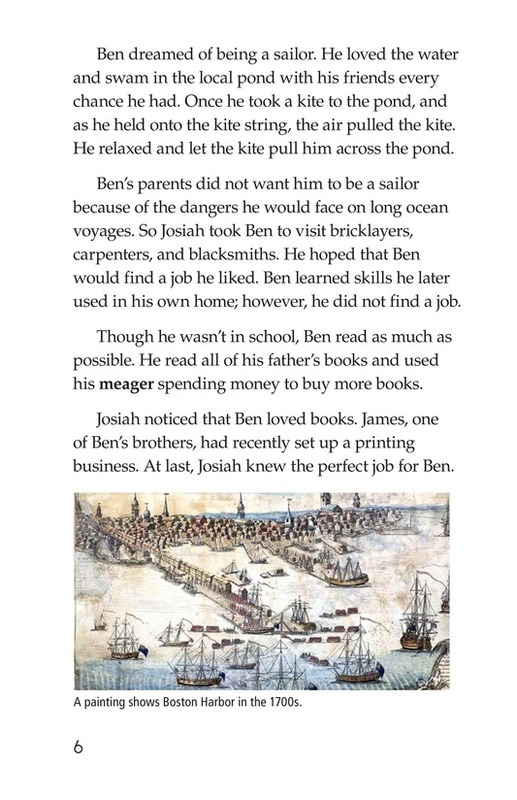 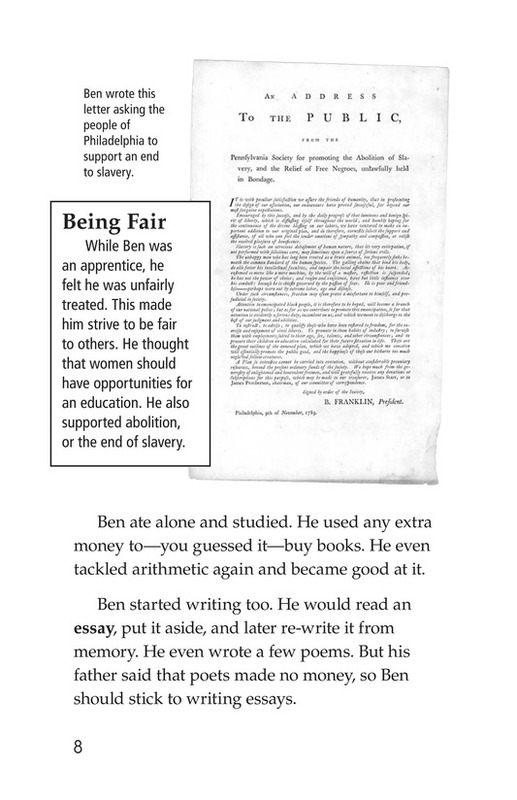 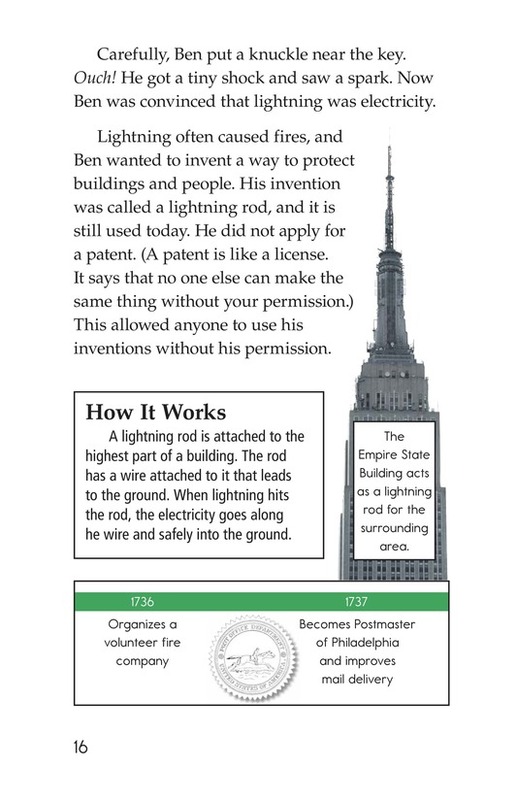 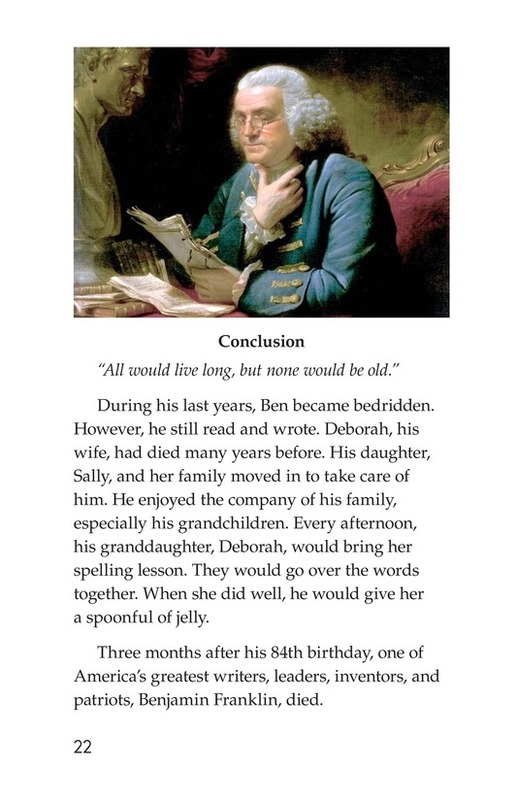 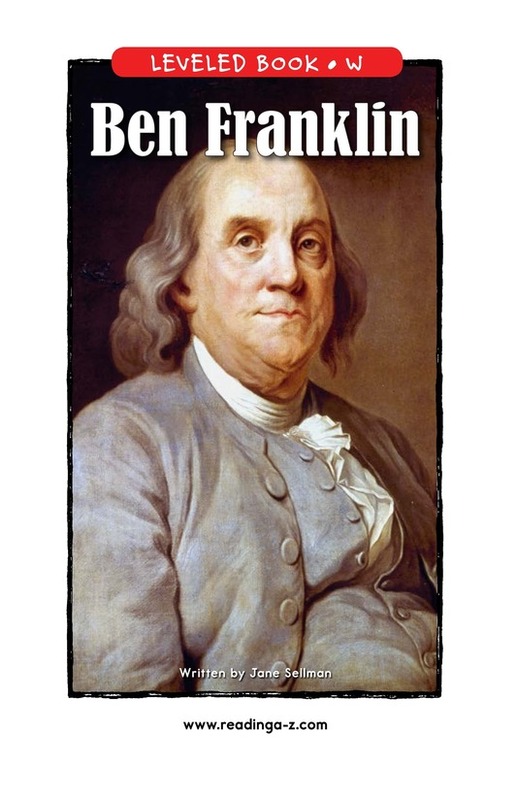 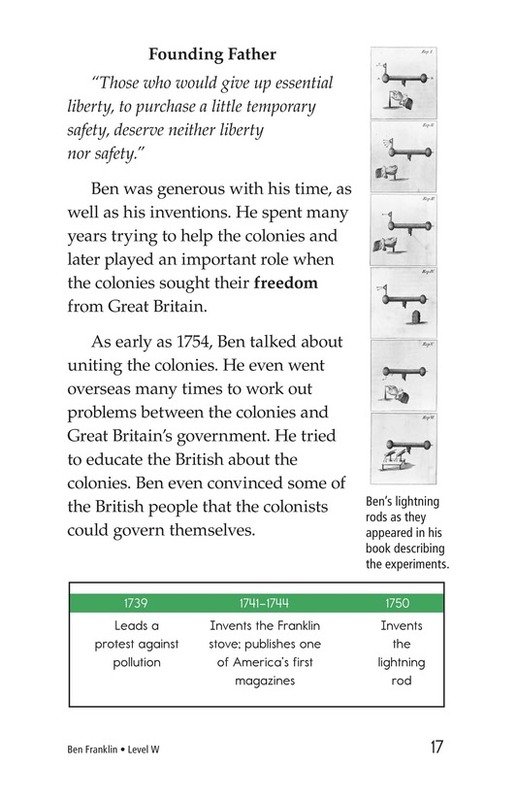 Ben Franklin is a biographical text about the many accomplishments of this famous inventor, author, and politician. 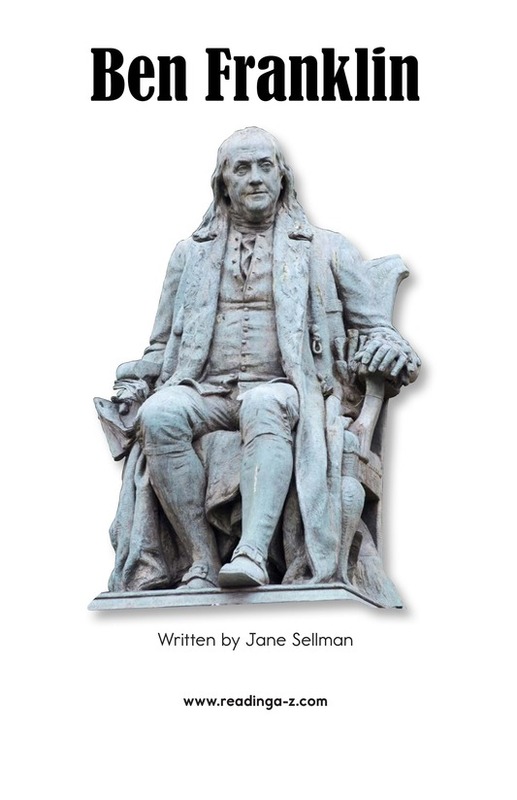 Chronicling his life from birth to death, readers learn about his contributions, family, early business ventures, and beliefs, all of which provide insight into the personal side of his character. 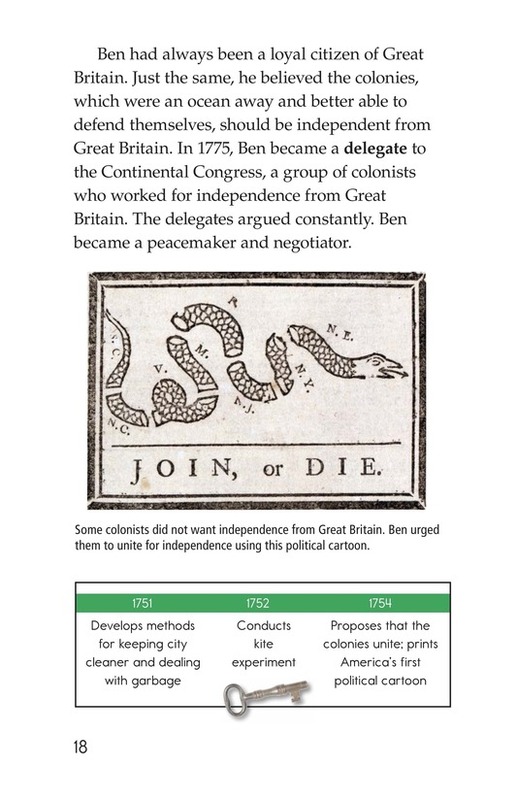 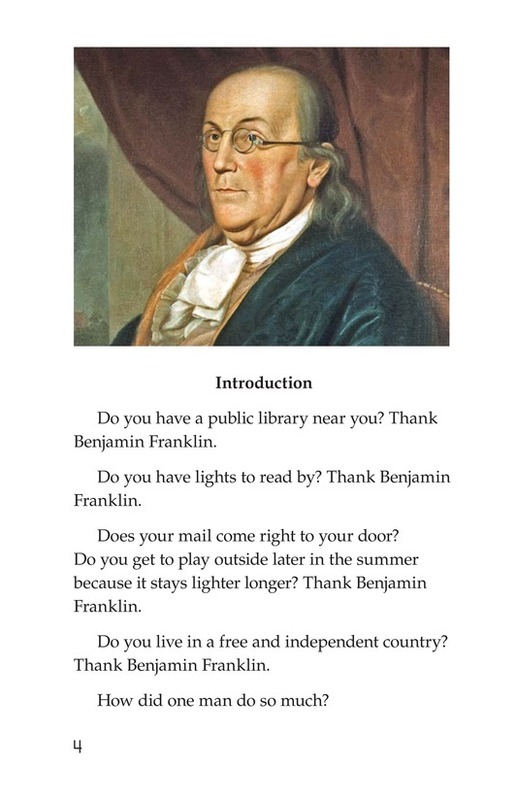 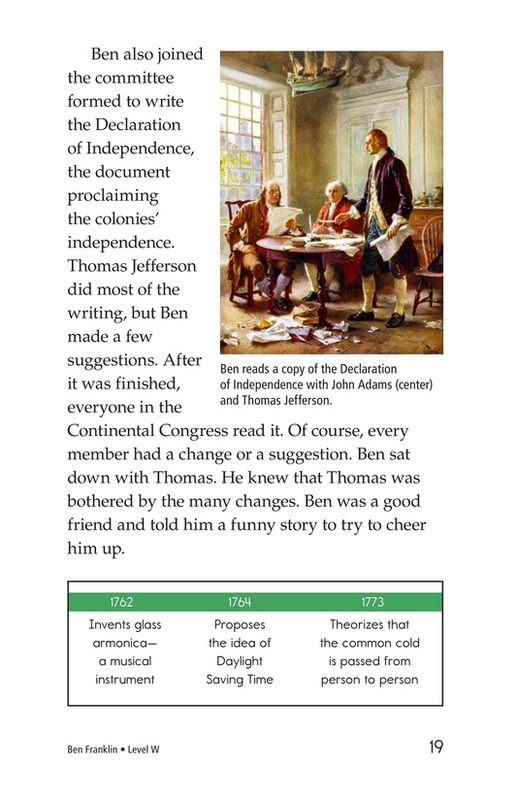 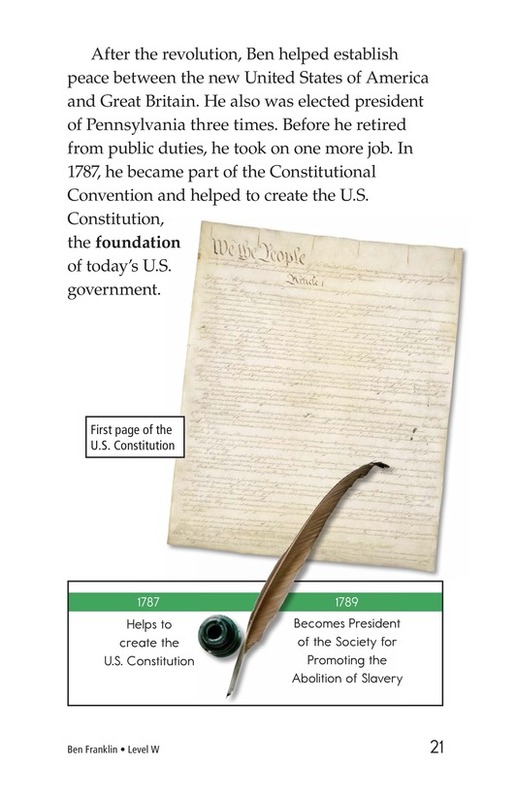 Famous quotes by Franklin introduce each chapter, and photographs and illustrations support the text.